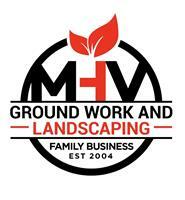 Thank you for visiting the profile page of MHV Groundwork’s - people you can trust. We are a family business that prides ourselves on our service to you, the customer and our reputation comes first, which is why we offer FREE estimates and fixed pricing so no hidden charges. We are manufacturers and installers of all types of quality fencing. All our work is guaranteed and we are fully insured for your peace of mind. Contact our director Veli, to discuss your requirements and for more details, we would be more then happy to give you as much information as you require. Our costumer comes first.